1. What Are My Own Expectations for My Home Security System? 2. How Exciting Do I Want My Security System To Be? Home security systems go from mild to wild. Some systems just require that you enter a code and walk away. A more popular form of home security nowadays is the home automation system. Home automation is capable of actions such as opening and closing your blinds, turning lights on when you come home, regulating room temperature and more. Most home automation systems use an app as a controller. Other actions include locking or unlocking doors remotely. You can even use your smart device to stream video in real time via your security cameras. 3. Does My House Require Special Consideration For a Security System? Pets - They cause false alarms, especially if you have a pet door. Outbuildings - Garden sheds and storage sheds are prime targets for burglars. They want items that they can be exchanged for cash quickly. Garden tools are a top target. Detached garages - What don't we keep in our garages? All of that valuable stuff is a haven for a burglar, especially if your garage does not have the protection of a home security system. Visibility issues - Tall shrubs make a home an easy and inviting target. A home security system with security cameras that cover every entrance helps to deter burglars. 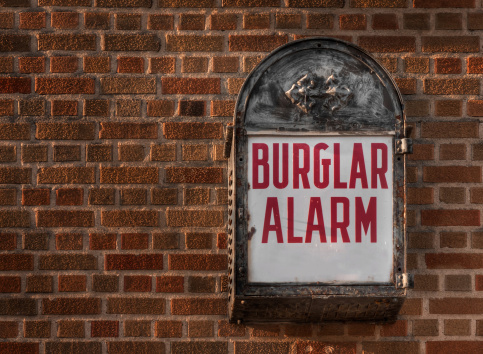 Remember that smart systems can help eliminate false alarms, wireless systems make it easy to include protection for outbuildings and a detached garage, and security cameras help to prevent burglary when visibility is an issue. The costs begin with the system, and this can literally range from a small investment to thousands of dollars. Some systems also require a monthly subscription or contract fee. The best tip for offsetting some of these costs is to look at how the system actually benefits you, and whether or not the system will reduce other costs, such as home insurance premiums. 5. Will A Home Security System Actually Reduce Other Expenses? Depending on your carrier, adding a home security system may allow you to qualify for a discount on your cost for home insurance, for insuring special items, and several other insurance related expenses. By helping you manage the energy usage for your home, a more sophisticated system will save you money each month on your utilities too. 6. How Binding Is the Contract? Contracts with security companies do vary considerably. Some contracts require a specific length of time before you can opt out, while other contracts are more forgiving and offer an easy opt-out solution. Owning your system outright is an important consideration to make, so it is prudent to shop around and see which companies offer the most flexible services with the least amount of hassle. 7. What if I Move? Moving is a concern for both homeowners and renters. If you like your security system and moving is a possibility, consider a wireless system. Wireless systems move easily, and there is usually very little damage to the building when you remove a wireless system. A wireless system is a great option for people who rent because they do not lose out on their security investment should they ever decide to move.